New iPad? Great choice. 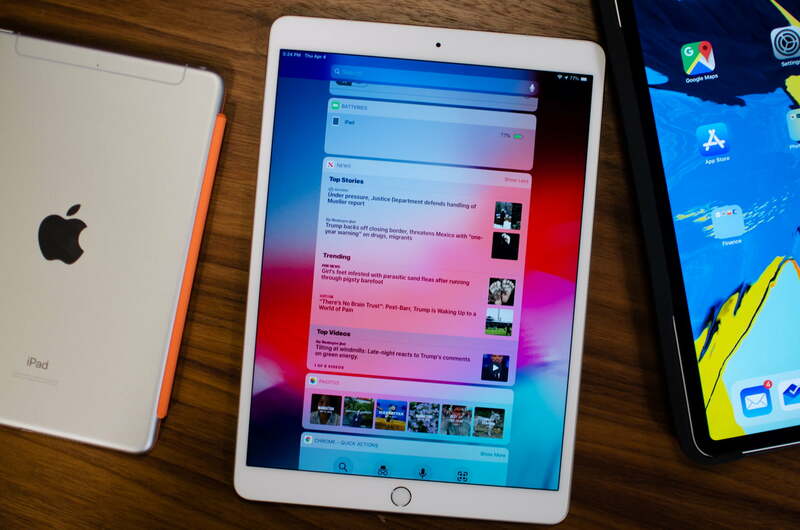 Apple makes the best tablets you can buy right now, no matter if you choose the basic iPad, the new iPad Mini or iPad Air, and the iPad Pro. If you own an iPhone, you can use it to set up the iPad so you don’t need to configure any settings again. But if you use an Android phone — or you’re just setting an iPad up from scratch — there are some settings we think you should pay closer attention to over others. 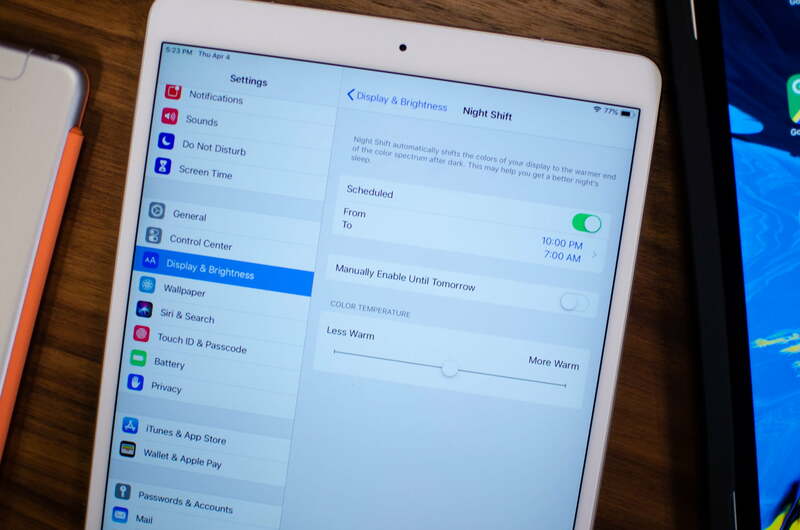 We rounded up the top 10 settings you should tweak on your new iPad to get the most out of it. One of the first moves you should make with your new iPad is to make it secure. Most iPads have a home button that uses Apple’s Touch ID sensor, which uses your fingerprint to unlock the device. The newer 11- and 12.9-inch iPad Pro tablets from 2018 have Face ID, which is the same technology used in Apple’s latest iPhones, and it uses facial recognition for authentication and unlocking. If you skipped setting either of these biometric authentication methods in the iPad setup process, tap the Settings menu and go to Touch ID & Passcode (Face ID & Passcode on the iPad Pro devices). Tap either Set Up Face ID or Add a Fingerprint based on the iPad you own and follow the prompts on the screen. 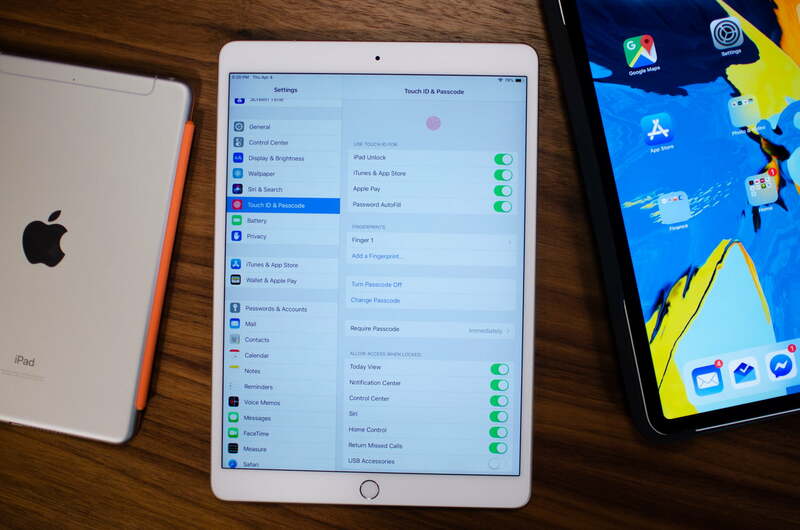 You’ll likely need to set up a passcode as a backup for when you restart the iPad or in case Touch ID or Face ID have difficulty recognizing your fingerprint or face. Once done, browse through this section of the settings menu to make sure you enable Touch ID and Face ID for things like iPad Unlock, iTunes & App Store, Apple Pay, and Password Autofill. At the bottom, you can make sure certain parts of the iPad are still accessible when it’s still locked, such as the Control Center or Siri. We also recommend heading to the Passwords & Accounts section of the Settings app to toggle on AutoFill Passwords. This will securely store your passwords for various apps and services on iCloud, and it means you don’t have to remember them anymore — Apple will do the work for you. Like seeing and reading your notifications straight from the lock screen? 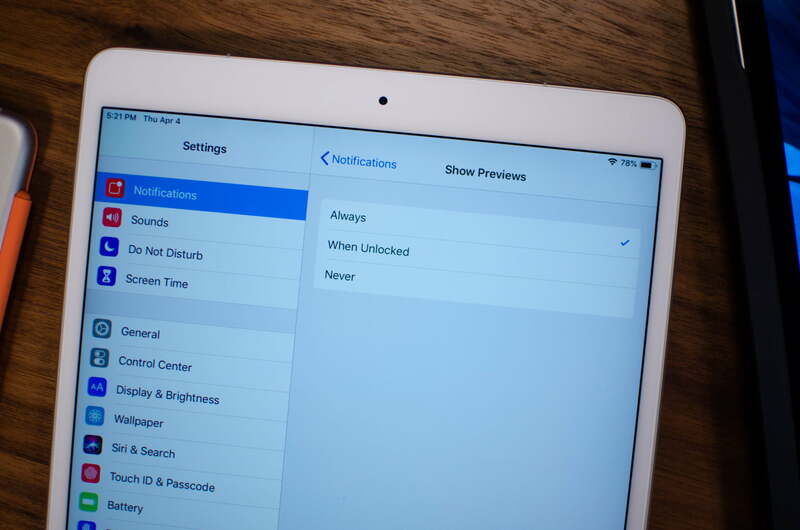 By default, all the iPad devices will freely show you notification content, but that may be a turn off for people who want a little more privacy. If you’re frequently in a cafe or library, for example, it may be a good idea to hide notification previews from prying eyes. To change this setting, tap the Settings app and then tap on Notifications. The very first option should be Show Previews. Tap it, and then choose the style you want: Always, When Unlocked, or Never. The first will always show you your notification content from the lock screen (and it’s the default setting). The second option will show you this content when the tablet is unlocked — so if you put your finger to the Touch ID sensor, or when you stare at the iPad Pro’s camera for Face ID. The third will never show the contents of your notifications on the lock screen — you will have to manually go into the home screen and pull down the notification bar to see what’s new. Many people buy tablets to give to their children so they don’t have to give up a smartphone (which was probably more expensive and has a higher potential to break) — ideally, you’re not giving your kid one of the expensive iPad Pro devices, but something like the $330 iPad. 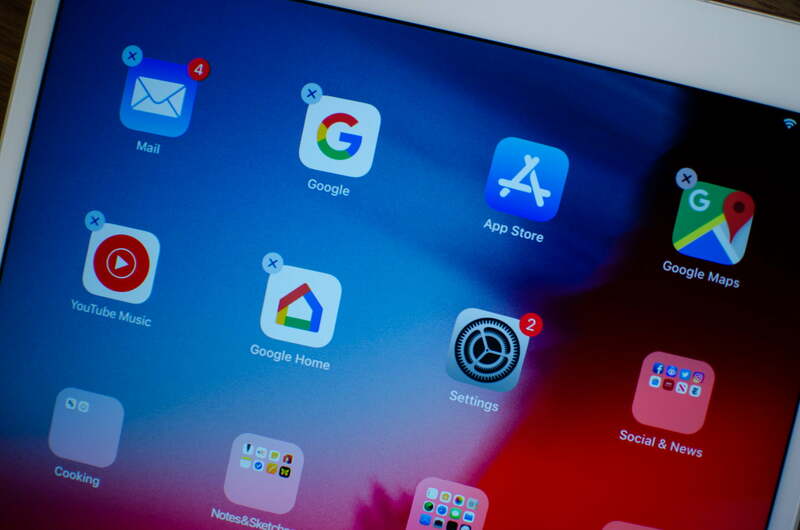 Luckily, there’s a way to set time limits on apps as well as content restrictions, to make sure you know what your child is doing on the iPad and for how long with Apple’s Screen Time feature. Head over to the Settings app and tap on Screen Time. 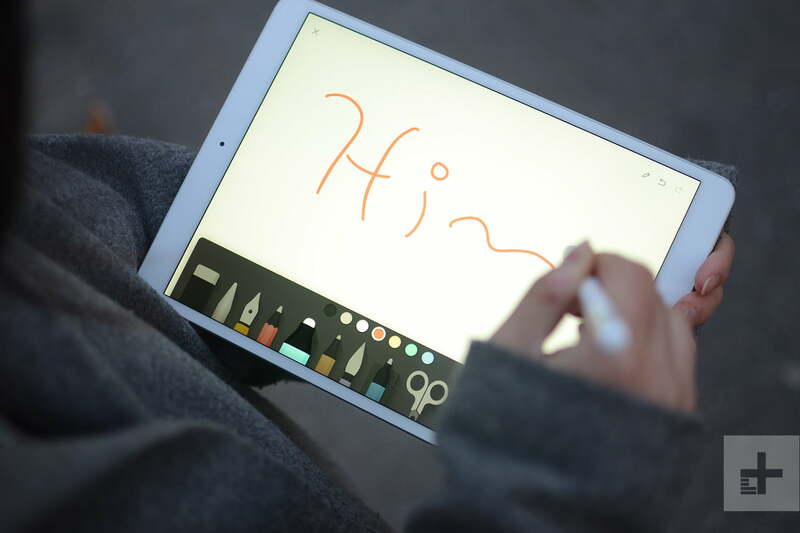 You’ll be prompted to choose whether you’re setting the iPad up for a child, or for yourself. Now you’ll be able to see basic stats such as for how long the iPad has been in use. There are more specific features you can toggle on, such as Downtime, which will only let notifications come through from select apps at a scheduled period of time. 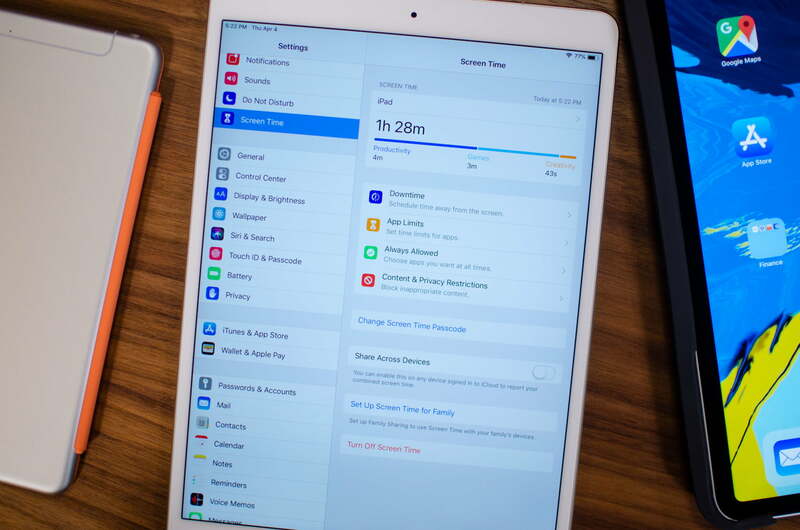 If you’re sharing the iPad with a child, then it may be a good idea to schedule Downtime whenever the child is using it so unwanted notifications don’t pop in. App Limits may prove to be more useful, as you can add a time limit for how long a specific category of apps can be used. So if you don’t want your kid to play a game like Civilization VI for hours on end, you can select the Games category, and add a time limit for however long — you can even select the days you want the limit to run. Sadly, there’s no way to set limits on individual apps just yet. Head over to the Always Allowed section to choose apps you want to always make sure are available, like FaceTime or Messages. We recommend setting up a Screen Time passcode. This makes sure that if an App Limit is hit, a passcode will be needed to override it. Otherwise, it’s super easy to ignore the limit and keep using apps. Just tap the Use Screen Time Passcode option in the same menu, choose a passcode you’ll remember (and one that’s not easy to guess), and that’s all. Finally, tap on Content & Privacy Restrictions to make sure your children are using the iPad safely. Toggle it on, and you’ll see a variety of settings you can tweak. For example, it may be a good idea to not allow your children to install apps from the App Store without your permission. You can tap on iTunes & App Store Purchases, tap Installing Apps, and hit Don’t Allow. You can even set the option to always require a password to install apps. That’s handy to ensure your child doesn’t spend your money on micro-transactions in games. Go through all the options in the Content & Privacy Restrictions menu to make sure everything looks correct. This isn’t exactly a setting, but it’s an important feature to learn for newcomers to iOS. The home screen may look cluttered to you because there’s no app drawer to hide stuff away like on almost all Android devices. Instead, you can put apps into folders, or place them on various home screens. To do this, just tap and hold on an app until all the apps on the screen start to wiggle. An “X” will pop up on all of them — this is how you can quickly delete apps. To move an app, tap and drag the icon to wherever you want — move it to the edge of the screen to put it on a different home screen. You can also drag these apps to the dock, which is the floating bar of apps at the bottom of the screen. 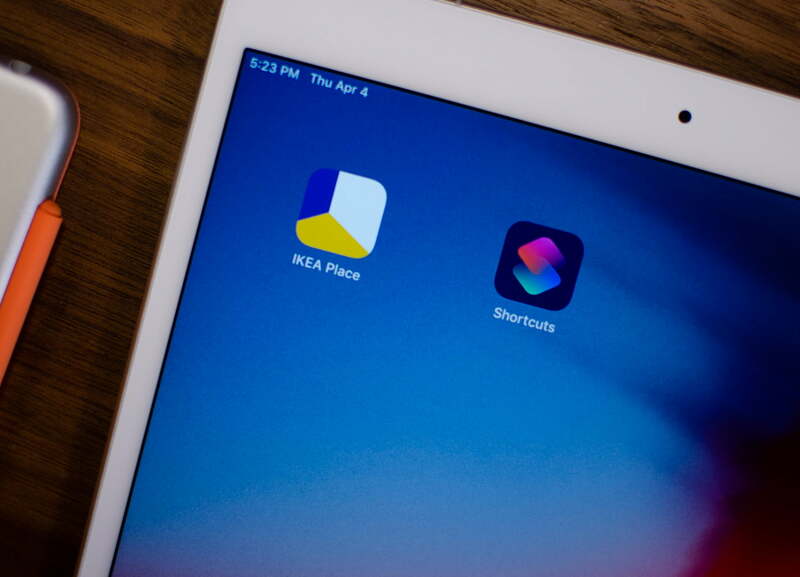 Put your favorite apps here, and you can swipe up to pull the dock up at any time — whatever app you’re in — for quick access. The Control Center is a crucial part of the iOS operating system because it allows you to quickly toggle some settings on or off. To access it on an iPad, you swipe down on the top right edge of the screen (where the battery indicator is). You can tap and hold on these tiles to expand them for more granular options, or just tap them to toggle them on or off. Don’t like the order of tiles or don’t think you’ll use some of them? No problem — there’s a way to customize it. Go to the Settings app and scroll down to Control Center. Tap on Customize Controls. Not every tile can be moved around or removed, but you can find shortcuts to various apps and settings, like a shortcut to the Alarm clock app, or the Camera. Just tap on the “+” sign next to the app or shortcut you want. If you want to rearrange the order, you can drag the lines on the right side of each app to move them. Like your phone, you don’t want the iPad to bother you when you’re busy trying to sleep. That’s why you should utilize the Do Not Disturb feature to silence all notifications. Open the Settings app and scroll to Do Not Disturb. Tap on the toggle next to Scheduled to have the mode turn on at a particular time, or during “Bedtime,” which you can set up in Apple’s Clock app. To quickly turn on Do Not Disturb, open the Control Center and tap on the moon symbol. Press and hold it to see options to enable it for an hour, or even until you leave a location. If you find yourself frequently using the iPad before bed, it’s a good idea to turn on Night Shift. It’s a blue light filter, that limits your exposure to blue light from the screen. Blue light at night can disrupt your sleep, which in turn can affect your health, and enabling Night Shift can help reduce exposure. Open the Settings app and go to Display & Brightness. Now tap on Night Shift, and you can schedule it for a specific time. You can even manually turn it on here, or go to the Control Center and press and hold the brightness slider to toggle on Night Shift. You can even adjust the color temperature in this mode so that it’s not too harsh, or crank it up to the max to get the most out of it. 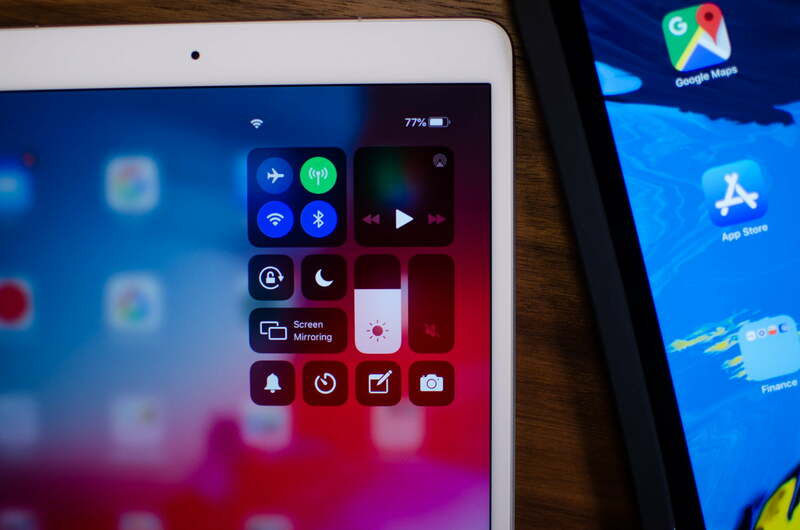 Your iPad can act as a home console to control your smart home products, similar to a Google Home or Apple’s HomePod. To make this work, you’ll need to turn on Siri and the “Hey Siri” command. In the Settings app, go to Siri & Search and toggle on Listen for “Hey Siri” and Press home for Siri. (On the iPad Pro, the latter is Press Top Button for Siri). If you have never used Siri before, follow the on-screen prompts to set the assistant up. Once done, just say “Hey Siri” to ask the assistant a query. If you have connected smart home products in your house through Apple’s Home app, then you can use Siri to control them. 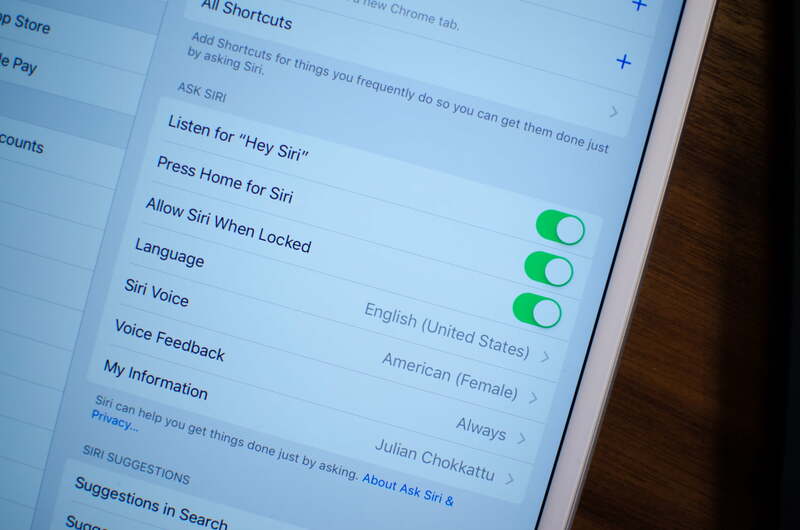 Once Siri has been activated, you can create shortcuts with the assistant to quickly trigger a task. You can get started in the Siri & Search section of the Settings menu, by tapping on All Shortcuts. Here you’ll see preset shortcuts from various apps you have installed — tap the “+” button next to the shortcut you want, and then say the shortcut to Siri to trigger it. If you want to create your own custom shortcuts, download the Shortcuts app from Apple (if it’s not already installed). There are even more options to choose from if you don’t want to make your own, or if you want some inspiration. Check out our guide on how to create Siri Shortcuts for more. There’s a powerful tab on the left side of the home screen on all the iPads — the Today View tab. It lets you add various widgets so you can quickly access apps or tools — it just needs tinkering to make it truly useful and personalized for you. To customize it, scroll all the way to the bottom of the Today View tab and tap on Edit. Here you can see, remove, add, or move around various widgets from third-party apps or Apple’s own services. Just tap the red minus sign to remove a widget you don’t think you’ll use, and tap the green plus sign to add it. Tap the lines to the right of each widget to move the placement around. If you have an Apple Pencil or another device connected via Bluetooth, there’s a “Batteries” widget you can add that will show the remaining battery life of the product — it’s one of our favorite widgets to add on the Today View tab. 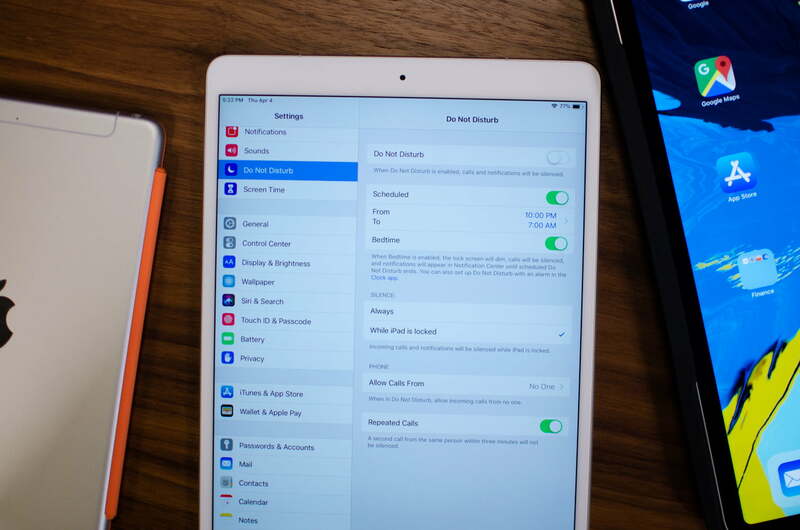 Those are some of the most important settings we think you should change when first setting up an iPad. Check out our iPad Pro tips and tricks — many of which apply to the other iPads — to learn about more features such as multitasking. You can also browse our iOS 12 tips guide for more features built into the operating system.